Sometimes after a busy weekend you just need a day to regroup. My sous chef needed a break...she was dog tired. Tomorrow: we’ll be back with all kinds of carb loaded posts and tasty checklists. p.s. 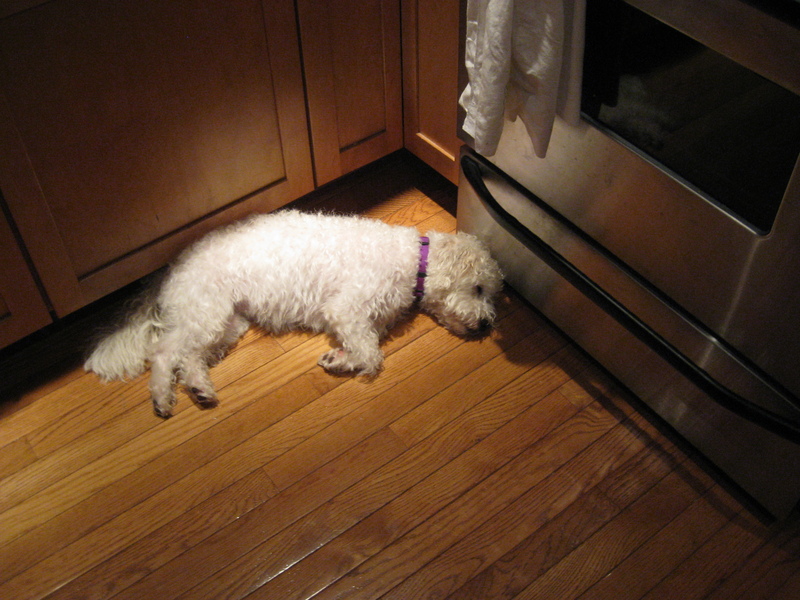 Scout decided to sleep in front of the stove last night as I cooked dinner around her. But only after the meat was done sizzling. She hates sizzling.